As you have no doubt already noticed, Maiden Yarn has a spiffy new theme! Do let me know what you think. 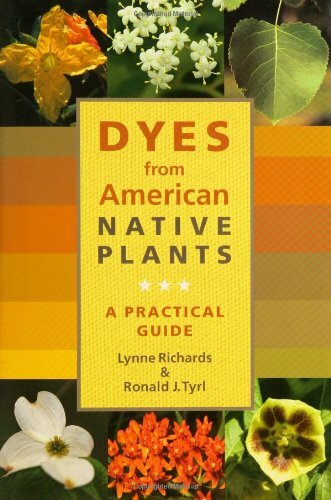 I recently was able to get a hold of Dyes From American Native Plants through an interlibrary loan. I was quite impressed by the number of plants they cover! The book is laid out very nicely with some basic dyeing methods in the front and a bit about the how dyeing works, then we get to the good stuff. Pages and pages of colored chips showing the colors that can be attained, then lists of the plants and how to get the colors (which mordants to use, whether to use heat or decomposition)—all the nitty gritty details. Oh, and which part of the plant to use! I found that extremely helpful. It’s one thing to say, “silver maple makes X color,” but do you have to stuff the entire tree in the pot? Then, after they go through by color, they go through again by plant. Most of the plants have a color photograph to help you recognize them. I personally wish they had listed the plants by region instead of just saying “this plant ranges from . . .” But the information is presented very concisely. It’s not at all a chatty book. Very straightforward, and it tells you what you need to know. Setting aside the fact that I lost half of the crimson fiber due to my own mistakes, what was usable spun up into some rather pretty yarn. 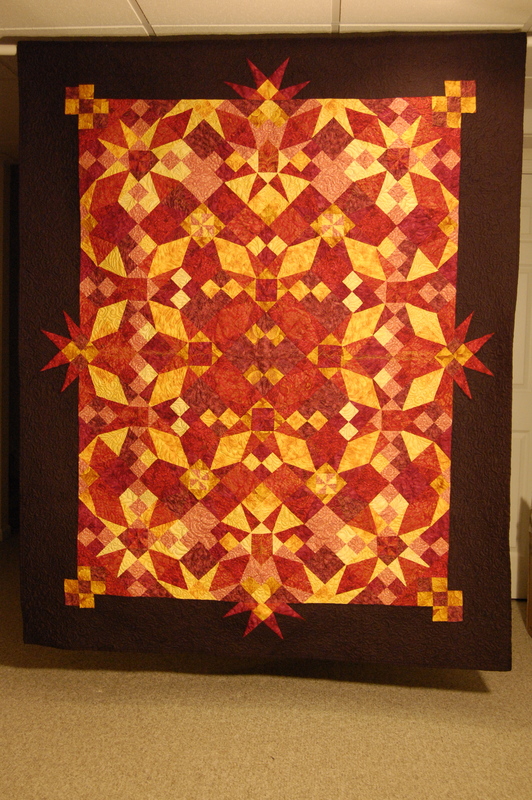 I’d wanted to use it for a beautiful shawl. A shawl that requires five hundred yards. Mine spun up into just under two hundred. I guess that’s enough for a capelet, but I’d much prefer a bigger something. 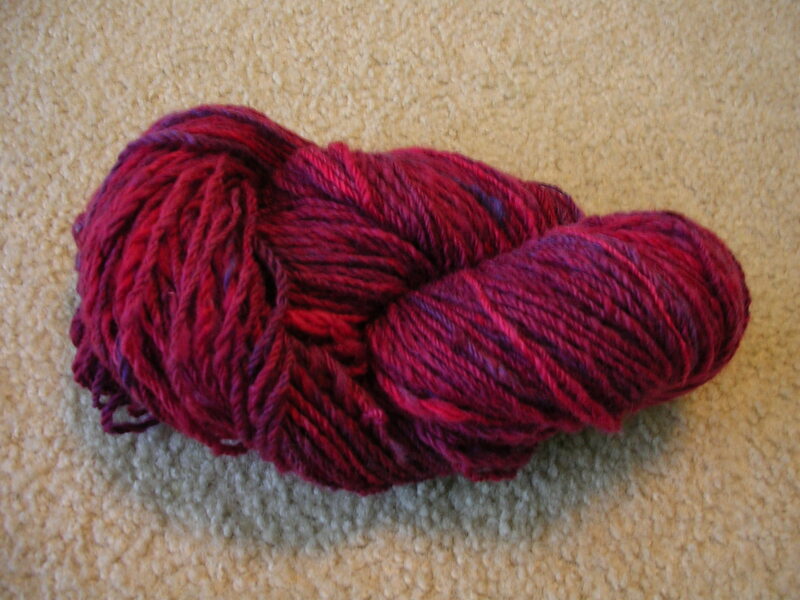 So now I have to decide whether to wash, dye, and spin some more wool in the “same” colorway, or just make something with this little amount. Considering how much colder it’s getting, I’d need to get the wool washed pronto. I don’t want to be outside pouring greasy water in the cold! It all started in my aunt’s living room. My family and I were on vacation, and we were coming up with different ideas for cottage industries that I might be able to do. My dad thought of weaving, since I liked yarn, and in the process of researching looms and whatnot, my wonderful aunt brought out a copy of SpinOff magazine. I was hooked.